Aros.Online is a server that we hope you can call home! It has so many features its unreal! Below you can find a couple of the main ones. The server is hosted on a dedicated machine, and is always online. However please make note we are still testing, therefor server might go up an down on certain days to do updates. Always check with our Aros guide for the updates, and help about features, systems. Here is how a monster's level works. With each level it gains 10% hp, 25% dmg, 6%exp, an 7% speed. This might change over time, however for now I think it is pretty decent. We have over 8 custom, one of a kind cities, with over 200 house's all over the map, an nearly 30,000 spawns! Unlock locations all across the world of Aros! Once unlocked you can use the pad to jump across locations! 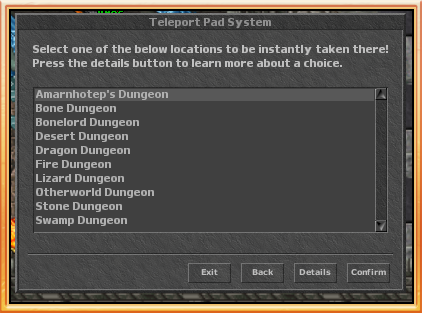 You can find many dungeons through out the world also! Once found you can use the telepad to jump to them after your cool down! On Aros you can forge your weapons to further their powers! 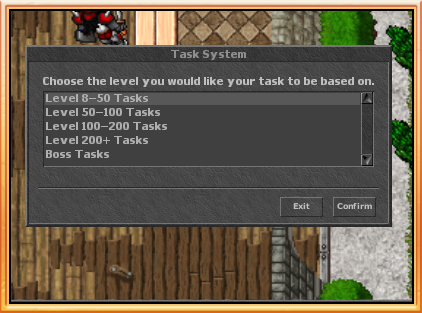 Get exp, an money for doing task! The higher the monster level, the higher the exp,atk,hp,spd becomes! Careful not to get in over your head! 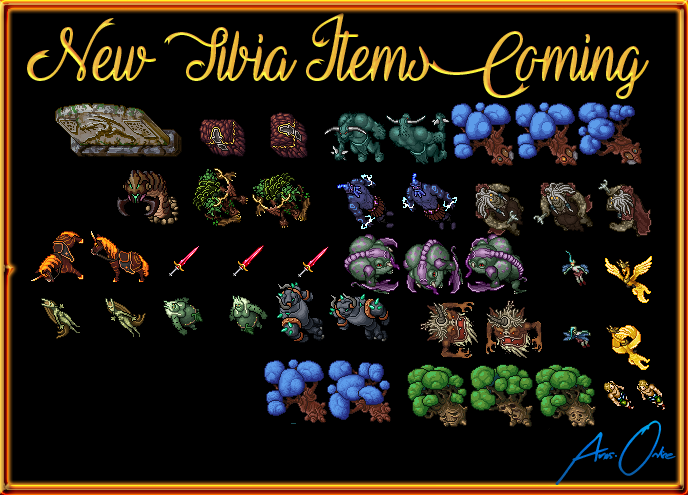 New Tibia SPR's are headed our way! don’t they always say that a picture says more then thousand words? They sure do! However I'm going to say you didn't read it, did you? Notice how it says "Thanks, an I'll post screens as soon as I can this coming weekend." We had actually planned for it to be up an running, but as i stated in the discussion my coder has had some bad weather effecting his net. However we plan on letting everyone run wild on the server soon as its up an running untill we hit beta date. Which then we will start locking in on the rates, functions more so! I did read, most of it at least. I'm just saying that we can't tell much more than that without seeing things, but yes these are some interesting ideas. Hello everyone, not sure what has been going on with the rar archive, but please use the installer thats provided on the site! Thank you all!!! Did you like my photo? 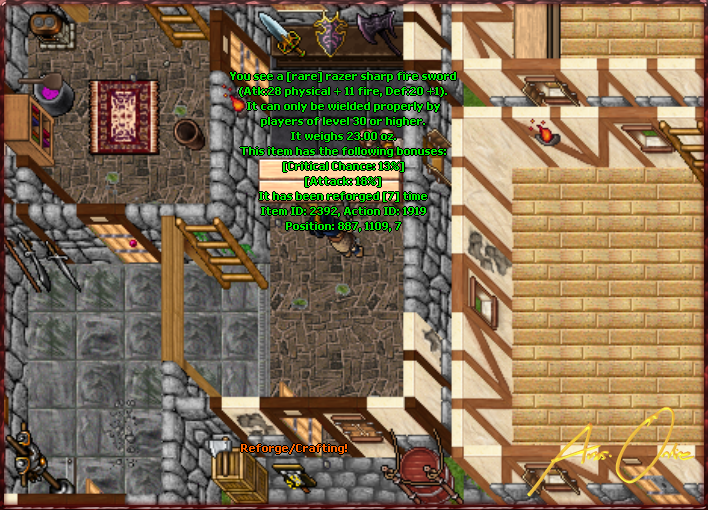 I also plan to use it in my project as the background image of a Tibia client and the site. Your photo? @Heyron .. its a public photo off Google. However I don't plan on using it much longer because I do all my own images. Updated first post with screen shot's, an some info! What does everyone think about having a heroic mode? With heroic mode you get a little extra exp boost, better gear, exclusive access to certain things.. but if you die your character is gone forever. Added screen shot of the monster levels. With each level a monster gains exp/hp/def/sod. I'll keep updating!! Updated post with screen shot's, an new information. I'll keep updating almost daily unless I'm at work irl. Thanks! Updated the information, an screen shots! Hello everyone I'm sure many of you that still lurk around have been wondering if the game will ever be open and running again with updates adding fixes. I'm reassuring many of you that things are happening. I'm not disclosing every detail a about what's being done and planned, but I can say this. This is its own world, and own game. I promise to provide true role playing, and yes.. grinding! I plan to give you something that you can work on and enjoy solo, or along friends. I'm not offering vocations, I'm offering characters. True player style, you pick your legacy, and forge your way through the world. The world will start small, limited items and creatures. But it will soon grow! I once ran this server and let it run aground, but not again I promise you all that much. The game will be set to launch a beta test in Nov. Till then it remains closed to current members that had actually played last time. If someone doesn't want to play I'll invite people in order as requested. The total number allowed is 15 members. After beta the top 10 of the beta group will receive a special item that will have a single use along with a free house. Please do not disregard this announcement as it is a not just a new breath in the air, but only the beginning of Project Aros: Return of the gods. This looks sick why so little attention? It has been mentioned many times that I have one of the best forging systems, along with other things. However I did neglect it, so I'm sure that would be why.